If you are arrested for Jacksonville possession of cocaine, Jacksonville possession of marijuana, Jacksonville possession of drug paraphernalia, or another Florida drug charge, you were probably searched by a police officer. When it comes to a Jacksonville possession of cocaine arrest or Jacksonville possession of marijuana arrest, the criminal defendant is often subjected to a search and seizure in Florida. Just like people are required to follow the law in Florida, so are police officers. Florida police officers cannot stop or search a person in violation of the United States and Florida constitution. In Florida, any evidence that is found as a result of an unlawful search or seizure can be suppressed. When a Jacksonville criminal lawyer investigates drug charges in Florida, she looks for any violations of the Florida constitution. “Did the police officer violate a person’s rights when stopping or searching the person for drugs in Jacksonville, Florida?” Your Jacksonville criminal defense attorney should analyze your Jacksonville possession of marijuana or cocaine case to see whether an unlawful search or seizure has occurred and the police have violated your rights in Florida. If you have been arrested for Jacksonville possession of a controlled substance, cocaine, or marijuana and you were stopped or searched unlawfully, you Jacksonville drug defense lawyer, will likely file a motion to suppress any evidence found, including possessing drugs in Jacksonville. 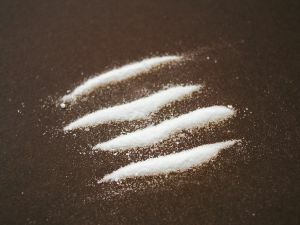 For instance, the Florida Third District Court of Appeals has ruled that a Florida criminal defendant’s motion to suppress in a Florida possession of cocaine case should have been granted, because the cocaine that she was charged with possessing in Florida was found as a result of unlawful police detention. In Hidelgo v. State, 25 So.3d 95 (Fla. 3d DCA 2009), Hidelgo was the passenger of a vehicle that was stopped due to a Florida traffic violation. According to the Florida police officer that searched the car, Hidelgo and the driver of the car consented to the search of the car. During this search, a Florida police officer patted down Ms. Hidelgo, handcuffed her, and put her in the police car. The Florida police officer did not find any drugs in the vehicle, and Hidelgo and the driver left. Then, a Florida police officer searched the back of the police car in which Ms. Hidelgo was held. He found a plastic bag with cocaine. The officers stopped the vehicle once again and arrested Ms. Hildelgo for Florida possession of cocaine. The Florida appeals court ruled that the original stop and search of the vehicle were legitimate. Although Ms. Hidelgo consented to the search of the vehicle, the State of Florida did not present evidence to establish that she “consented to being handcuffed and place by herself in the back of a police vehicle for a lengthy period of time.” She was treated as if she was under arrest as she was not free to leave. If you are arrested for Jacksonville possession of cocaine or any other illegal drug, call a Jacksonville criminal defense lawyer for help with your case. A lawyer in Jacksonville at 20 Miles Law can help you. Call a Jacksonville law office for help at (904) 564-2525.